With me, as most friends will tell you, I always carry a knitting bag with some Crochet project of some kind, lurking inside, ready to be whipped out at any given moment. 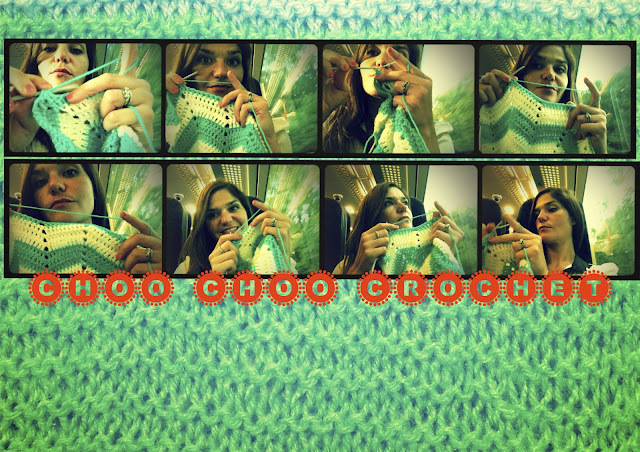 On the train to work is my usual crochet "me" time. Much to the amusement of my fellow passengers. I think many commuters must think I am an odd sight. 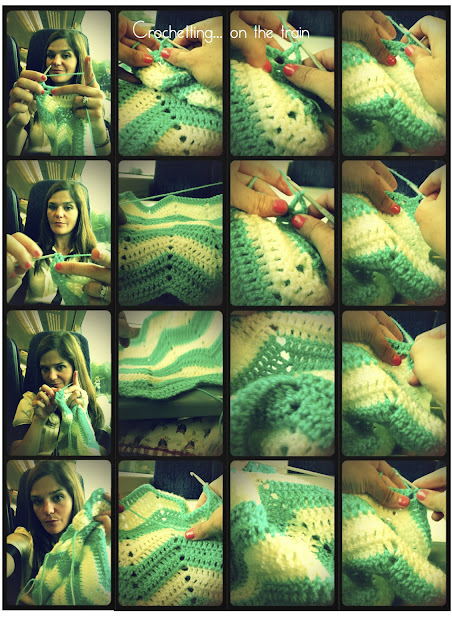 In my 30's, sitting on the train... knitting or crochetting away, without a care in the world. This is one of my easy, portable projects (as it's only two colours and don't have to lug a huge bag of wool with me). It will, in the end, be a cushion cover. I definitely think Crochet and Knitting should be part of some NHS de-stressing program. It's all the internal counting that one does, that inevitably just... relaxes one's head and spirit.